‘De-personalization’ of the merchant-customer relationship because of the fast maturing Indian market with increasing brands, complexities and growing customer base makes deployment of advance Relationship Management Techniques imperative. 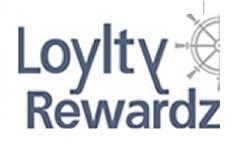 Loylty Rewardz enables organizations to enhance customer life-cycle value by analyzing customer behavioral patterns and building customer reward and relationship programs. Loylty Rewardz aids companies conceptualize, develop and operate loyalty programs, installing best practices and processes towards generating everlasting relationships and loyalty amongst their customer base, across a wide range of industries such as retail, hospitality, online, financial, travel, and telecom. This is made possible using a combination of strong domain expertise and a highly scalable technology platform. Loylty Rewardz was founded in 2006 by Bijaei Jayaraj, previously with MasterCard and Jet Airways. With a decisive early mover advantage in the exclusive consumer loyalty and relationship management space in India, Loyalty Rewardz capitalized on it and raised series A funding from Ventureast in 2009. The investment supported the company’s rapid growth and expansion plans enabling addition of marquee clients’ such as State Bank of India, Punjab National Bank, and Citibank. Ventureast exited from the investment in 2015 through a secondary sale to IndiaIdeas.com Ltd (Bill Desk).